Welcome to our Centennial NeurOptimize location! At our Denver Neurofeedback Center located inside Resilience Code, we provide neurofeedback services to help improve brain health and provide solutions to many mental health symptoms, such as anxiety, depression, hyperactivity, and other physical and mental features that can significantly impact the quality of one’s life. At NeurOptimize Centennial, our compassionate team is here to help you gain a better understanding of how your brain may be causing the unwanted symptoms you are experiencing and provide you an individualized care plan to treat these symptoms through neurofeedback. At NeurOptimize Centennial, we truly care about Denver mental health and are passionate about helping better the life of Denver residents. Have you ever wondered how your brain works? Or what it looks like? Through qEEG brain mapping, neurofeedback professionals are able to do just that! A qEEG brain map allows professionals to view and analyze your brain wave patterns in the different parts of your brain and gain a better understanding of how your brain is functioning in order to identify any areas of your brain that may be functioning abnormally, causing neurological problems. Did you know that you can rewire your brain? If you are struggling with mental illness symptoms such as, anxiety, depression, ADHD, etc., neurofeedback therapy may be for you. At NeurOptimize Centennial, we can use the data from your qEEG to determine which areas of your brain may be causing your unwanted symptoms and target the associated brainwave frequencies to promote the desired brain performance. At NeurOptimize, our team of neurofeedback professionals truly care about client experience. That is why many of our team members are also Licensed Professional Counselors, Life Coaches, and Registered Psychotherapists who can enhance your neurofeedback treatment with individual counseling or coaching. We also have many professional connections in the Centennial community and would be happy to provide you with referrals. Speak with your lead clinician about your counseling or coaching needs. If you live in the Centennial area and are struggling with mental illness symptoms that are hindering your everyday life, come visit us! Our Centennial location is located right off of I-25 and E Dry Creek Rd inside the Resilience Code building. At NeurOptimize Centennial you will be greeted by one of our caring staff members who has a mission to provide you the relief you need — mental or physical. Together, through our best-in-class neurofeedback services, we will learn more about how your brain functions and retrain your brain for optimal performance and brain health. 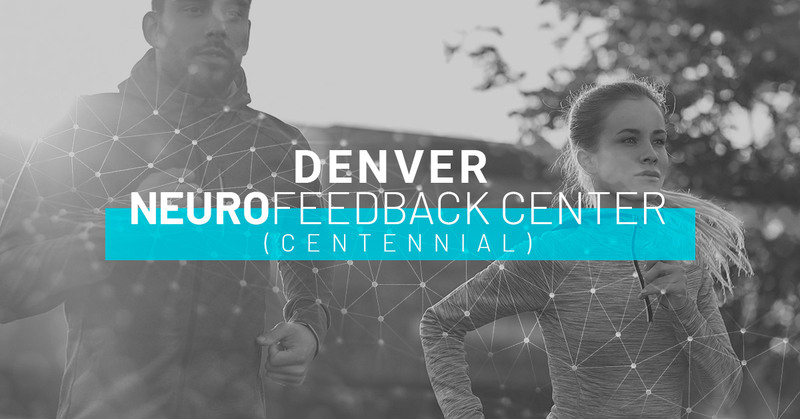 Do you have questions about our Denver neurofeedback services? Are you ready to improve your brain health? Contact NeurOptimize Centennial today! We are happy to be a part of your mental health care. ©2018 NeurOptimize® - Do not copy. All rights reserved.